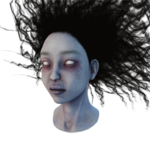 Rin Yamaoka or "The Spirit" is one of 15 Killers currently featured in Dead by Daylight . 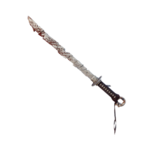 She was introduced as the Killer of CHAPTER IX: Shattered Bloodline, a Chapter DLC released on 18 September 2018. 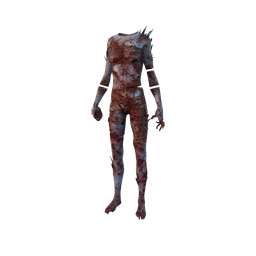 The Spirit is a phase-walking Killer, able to catch Survivors off-guard with her traversal Power, Yamaoka's Haunting. Her Power allows her to teleport from one place to another without being seen. Her personal Perks, Spirit Fury , Hex: Haunted Ground & Rancor , give her tools to observe and bait Survivors, and deal with obstacles directly in her path. She inherited incredible fury from her ancestors. The wrath that flows through her veins is her legacy. The terrible pain she suffered set it off. Swift and lethal, The Spirit exacts her revenge endlessly. Rin was the only child of the Yamaoka family. She was raised in the dusty halls of a traditional house in Kagawa. She studied Education at Takamatsu, a private university, which weighed heavily on her family's shaky finances. Her mother got ill that year and the bills started piling up. Rin worked part-time in a futile attempt to help lighten the load. Her father faced a debt that grew without end. He started working double-shifts in hopes of obtaining a promotion. That's when he started losing sleep. A dark whisper would keep him awake all night, reminding him of his hopeless situation. Exhausted, he started to lose grasp of reality. Fighting to deny what the voice whispered at night, Rin's father made a desperate move. He met with his superior and explained his situation. He begged for a bonus, an advance, time-off---anything. His request was denied. The company had launched a defective production line that was costing them dearly. Someone had to be held accountable and Rin's father fitted the bill perfectly. He was fired after twenty-two years of service. That evening, Rin came home from work. She'd stayed late to entertain customers that lingered at the restaurant. As she parked her bike in the shed, she heard her mother's scream come from the house. She rushed in, climbing up the stairs to her parents' room. There she found bits and pieces of her mother on the floor. Her limbs were clean-cut, tangled up in an unnatural position. Her breasts were sliced up, revealing her rib cage, which was cracked open. Rin gagged. A sharp Katana came crashing down. Rin blocked the blade, which bit into her bare forearm. The shock of recognition interrupted her pain: her father was wielding the Katana with a stoic expression. She cried out to make him stop, but he slashed her arm again. She rushed off and slid on the blood-smeared floor. Using the door frame as support, she raised herself up. The Katana ripped through the wall, cleaving her other arm. She screamed in pain as she limped into the hallway, only to be met by her father's blade. She stepped back, trembling, as she held together the soft loose flesh of her abdomen. Images of her mother's tangled limbs flashed before her eyes. Rin charged at her father, making him stumble back. He punched her torn abdomen and she recoiled in pain. As she struggled to get back up, he slashed her thigh, making her collapse on the floor. As she crawled towards the stairs, he grabbed her hair and yanked her against a partition. The glass shattered on impact and she fell through, landing one floor down. She heard footsteps somewhere above her. With effort, she moved, worming her way into a sea of broken glass. The shards gnawed at her, ripping her flesh. He had to be stopped. He would not get away with what he'd done to her--with what he'd done to her mother. Coughing up blood, her chin grazed the glass, adding to the bleeding. A low-pitched heartbeat started to ring in her ears. Her body felt so heavy she could no longer move. The ground shook with her father's footsteps. She knew she was not going to make it, but she no longer cared. She would make him pay, in this life or the next. A dark Fog slowly veiled her eyes, but it could not subdue her rage. She would not rest--not yet. The darkness whispered, promising blood and revenge. An oath was made and Rin closed her eyes. Once obtained, other Killers will be able to find The Spirit's Perks in their respective Bloodwebs from that point onwards. A single-edged straight sword handed down from generation to generation. The blade shattered after spilling the blood of her kin. Yamaoka is the name she carries from her ancestors, who unleashed hell on the battlefield. The Spirit draws her power from their wrath, haunting the living as retribution for her suffering. The Spirit may traverse freely to a new location, moving at a faster rate for a short duration (5 seconds). She is still confined to movement within the physical environments and surroundings. Using Yamaoka's Haunting depletes The Spirit's Power bar. The Power bar will automatically replenish over time (15 seconds). The Power bar must be fully replenished before it can be triggered again. Survivors within the Terror Radius of the Husk will not hear the phasing sound. Survivors outside of that range will hear the sound, but be unable to determine its direction. Survivor will not hear The Spirit's breathing sound during a phase-walk. The Spirit can still hear any sounds the Survivors produce, be that from interactions with Props or sounds in general. The Spirit can see the invisible Survivors' effects on the environment, such as grass or corn moving. 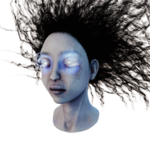 Yamaoka's Haunting affects Perks in different ways based on the fact that The Spirit basically exists in two places at the same time whenever she is phase-walking. 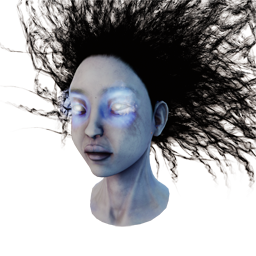 Spine Chill will activate based on The Spirit's physical location and not her Husk's location. 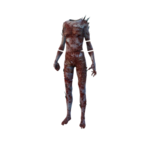 Perks affected by The Spirit's Terror Radius, such as Diversion and Stake Out , are activated by the Terror Radius of both her Husk and her ethereal form. 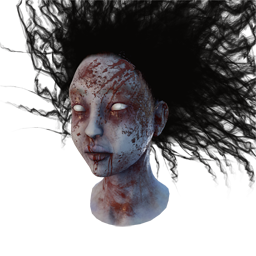 Perks that reveal The Spirit's Aura will reveal her Husk and not her ethereal form. The Spirit cannot see Auras while in her ethereal form. However, she still receives loud noise notifications. There are currently 2 Achievements related to The Spirit. Players may customise their Character by choosing one outfit style from each category. 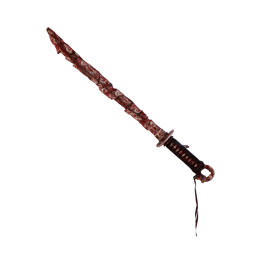 Blood-stained attire is obtained after The Spirit reaches Level 50 and prestiges. The Spirit is the fifth female killer. The Entity originally chose Rin's father as a new Killer. During the confrontation between Rin and her father, The Entity sensed greater potential in Rin's rage over her father's despair and decided to choose her instead to become a new Killer. The Spirit occasionally performs a passive phase, leaving a trail of "still images" behind her, confusing Survivors about her movement. The Spirit is one of few Killers with glowing, potentially Entity-touched eyes. The others being The Wraith , The Hillbilly and The Doctor . 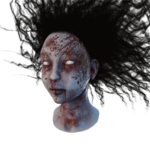 The Spirit is the first Killer to break Pallets and damage Generators with her Weapon. The second one is The Plague . The Nurse and The Hag perform those actions with their hands. 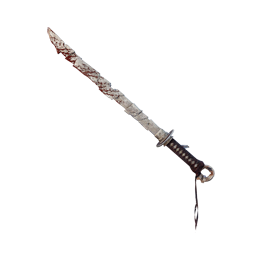 Since The Hag's hand is also her Weapon, she technically falls into both Categories, but is usually accounted for as using her hand. In the Teaser First Cut, The Spirit is voiced by Isabelle Mocquard. In the Game, The Spirit is voiced by Gabrielle Murphy, also known as the Community Manager not_Queen. The Spirit is one of only two Killers featuring a range of facial expressions, the other being The Clown . The Developers programmed a special facial rig that is unique to her. Thus she can show a very wide range of emotions. In a stream show-casing the development of The Spirit, it was mentioned that she cost the developers about 30,000 Dollars to create. The Spirit resembles an "Onryō", a ghost in Japanese culture, believed to be able to enter the world of the living and cause pain in order to fulfil their need of vengeance. The Spirit instead of stepping over Windows when vaulting, she grabs the Window with both hands and lifts herself over it from her POV. The Hag , The Nightmare , The Pig and The Legion also do this.